ALMOST 80% of families in Northern Ireland are not legally represented at inquests investigating the circumstances of their loved ones’ deaths. Chief Executive of the Bar Library David Mulholland said the figures obtained by The Detail are “deeply concerning” and called for more to be done to advise families of their right to legal representation in this “increasingly complex area of the law”. This comes as one family are facing the prospect of representing themselves at an inquest into the death of their elderly mother and are seeking help to get legal representation. Eighty-six-year-old Rosaline McEneaney from Armagh died in September 2012. She had been admitted to South Tyrone Hospital in deteriorating health and subsequently had two falls within the space of five days. Her daughter Nuala Mulholland is currently seeking legal support for the case through the Bar Library’s pro-bono unit which offers free advice and representation to a small number of clients whose cases are considered in the public interest. The Bar Library represents barristers in Northern Ireland. The new figures revealing the number of families representing themselves at inquest were obtained by The Detail in response to a Freedom of Information (FOI) request to the Northern Ireland Courts and Tribunals Service. The purpose of an inquest is to establish who the deceased person was and how, when and where the death occurred and to provide details so the death can be registered. We asked for details of legal representation, relationship of the representative to the deceased, age of deceased and cause of death for all inquests held in the last five years. In its response the court service said it could only provide data for 2011 and 2012 because of cost and time exemptions. During the two years 309 inquests were completed in Northern Ireland. In 77% (239) of these inquests the bereaved family was not legally represented. 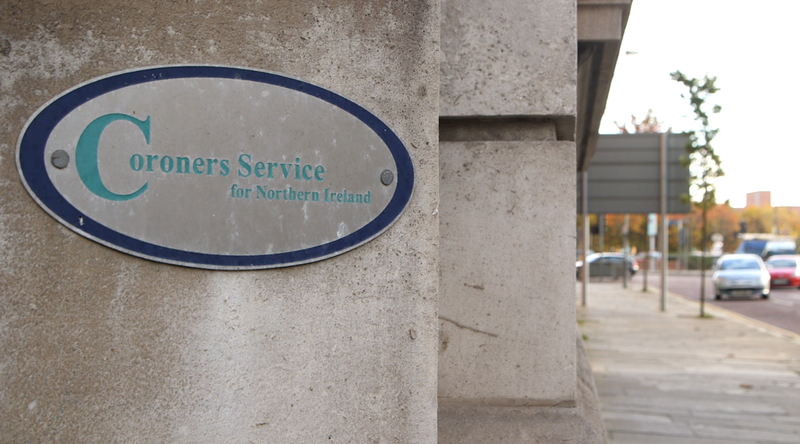 A spokesperson for the coroners' service said that persons other than the next of kin may have exercised their right to ask questions at the inquest as the legislation provides that “properly interested persons” can do this. Those who died included eight babies all under one-year-old and a person aged 100 who died in a road traffic accident. One of the most common causes of death in cases where family members were not legally represented was listed as “multiple injuries”. Others causes of death included medical issues such as “cardiac failure following induction of anaesthesia” and also “hanging” and “bullet wound to head”. A full breakdown of the information provided to us under FOI is available by clicking here. Legal aid allows people who would not otherwise be able to afford legal representation to get financial assistance in funding their case. In Northern Ireland inquests are usually outside the scope of legal aid and representation paid from the legal aid budget is not routinely available. In certain circumstances applicants may apply for Exceptional Legal Aid for representation at an inquest. In April 2015 the decision making powers for Exceptional Legal Aid transferred from the Minister of Justice to the Director of Legal Aid casework. Applications for Exceptional Legal Aid are decided on a case by case basis but decisions are usually based on whether or not there is a wider public interest in relation to the individual and the inquest. Bar of Northern Ireland (Bar Library) chief executive, David Mulholland, said the figures obtained by The Detail raise a number of questions about access to legal representation at inquests. However, Mr Mulholland said legal representation at inquests was becoming more important. He said: “People representing themselves in any legal process can lead to significant problems and delay, as evidenced by many civil and family cases at present. It is particularly challenging during inquests. Rosaline McEneaney was an 86-year-old woman who lived at home in Armagh with support from her family and carers. In September 2012 she was admitted to South Tyrone Hospital by her GP for a period of assessment due to her deteriorating health. 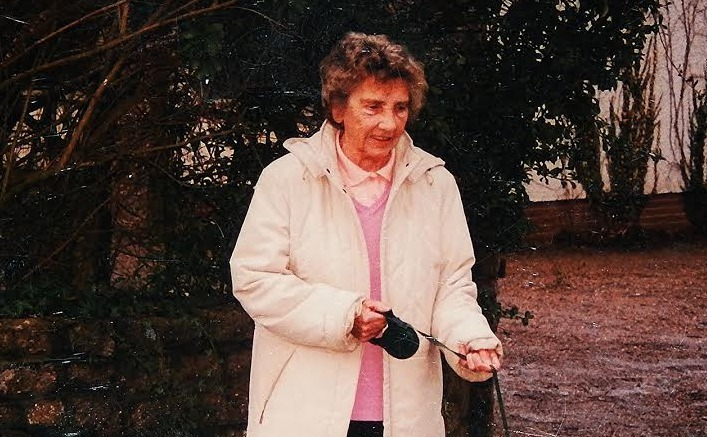 A Serious Adverse Incident (SAI) report completed by the Southern Health and Social Care Trust after her death found that while in hospital during a period of five days Mrs McEneaney fell on two separate occasions. On the evening of September 28 2012, the day of the second fall, Mrs McEneaney was transferred to the emergency department of Craigavon Area Hospital. She passed away early the next morning. A post-mortem examination was performed and the preliminary cause of death was identified as “probable metastatic lung cancer, intracerebral haemorrhage, fracture left neck of femur and ischaemic heart disease”. However, Mrs McEneaney’s daughter Nuala Mulholland said her family was left with many questions. In October 2012 Mrs McEneaney’s family wrote to the coroners' service requesting that an inquest take place into the circumstances of their mother’s death. Mrs Mulholland said her family decided not to instruct a solictor to take on her mother's case on a long term basis because of concerns over spiralling legal costs and the amount of time it could take to access legal aid. The family also contacted the Northern Ireland Ombudsman's office and asked it to investigate the circumstances of their mother's death. On July 2 2013 the ombudsman notified the coroner that the family had made a complaint. The coroner advised the family that he felt it was appropriate to await the outcome of the ombudsman’s investigation prior to holding an inquest. The ombudsman’s report was completed in January 2015. In February 2016 the coroners' service wrote to Mrs Mulholland to confirm that a full inquest hearing into her mother’s death had been scheduled for March 16 2016. The family was concerned that some witness statements and documentation which they felt were central to the circumstances leading up to their mother’s death were still outstanding. In cases where an inquest will hear from a number of witnesses and deal with large amounts of documentation the coroner may hold one or more additional hearings before an inquest begins, known as preliminary hearings. These allow for any outstanding issues to be resolved before the formal inquest hearing begins. After being contacted by Mrs McEneaney’s family The Detail contacted the coroners’ service on February 19 asking why, despite concerns raised by the family about outstanding documentation and witness statements, a preliminary inquest hearing had not been listed in her case. The coroners' service initially replied that preliminary hearings are not automatically held in every case and in an email to The Detail on February 24 a spokesperson for the coroners’ service said it was “currently considering the case”. However, in a further email to The Detail on February 25 the coroners’ service confirmed that a preliminary hearing had now been scheduled for Mrs McEneaney’s case at 10am the following day. Mrs McEneaney’s family only became aware of the fact that a preliminary hearing had been scheduled in their mother’s case when informed by The Detail. In a statement to The Detail a spokesperson for the coroners' service said that "attempts were made to contact the family which proved unsuccessful". During the preliminary hearing on February 26, the coroner Joseph McCrisken apologised to the family about the fact that they were not informed about the hearing before the media. Mr McCrisken also ruled that the full inquest hearing should be moved to May in order to deal with any outstanding issues raised by the family. A further preliminary hearing has been listed for this Thursday (March 31). Concluding the preliminary hearing in February, the coroner noted that Mrs McEneaney’s family did not have any legal representation and said that in view of the complex medical issues that would be considered as part of their mother’s case, he would recommend they make an application to the Bar Library’s pro-bono unit. This unit offers free advice and representation to clients whose cases are considered in the public interest and in cases where legal aid is not available or where the applicant is unable to afford legal assistance. Mrs Mulholland has made an application to the pro-bono unit for legal representation at her mother’s inquest. She said: “I am aware that I do not have the expertise and legal knowledge that the health trust’s solicitors and barristers will have. However, I have been encouraged by the most recent preliminary hearing that the coroner wants to establish all the facts. A spokesperson for the Southern Trust said it would be inappropriate for the trust to provide a comment on Mrs McEneaney's case before the inquest. To view The Detail's previous coverage on inquests and how hospital deaths are investigated click here.